Pickaway County was established by an Act of the General Assembly of Ohio at the (then) state capital of Chillicothe, on January 12, 1810 with the Act to become effective on March 1, 1810. 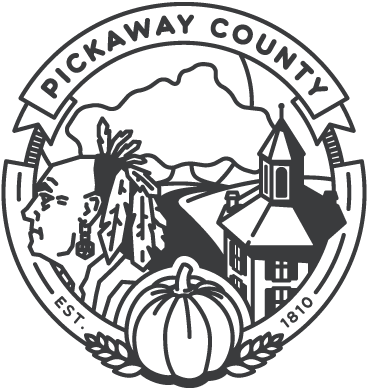 The name Pickaway is derived from the words Piqua, Pickaweeke, Peckawee or some other variation of the name of a sept of Shawnee that had settled in the Pickaway Plains area of the county. Circleville is the county seat and only city within Pickaway County. It takes its name from an ancient earthwork, a circle with a diameter of about 1140 feet, and an adjacent square measuring over 900 feet on each side where the early town was built. The earthworks are believed to have been built by a mound building culture, the Hopewell people, probably at about the time of Christ, but sometime after their 100 B.C.E. arrival in southern Ohio and before their disappearance from this region around 600 C.E. The town of Circleville was platted, or surveyed, into lots by Daniel Dresbach in 1810. Pickaway County is approximately 502 square miles in area, and had an estimated population of 56,304 in 2013. With 87% of its land in cropland and pasture, agriculture is very important to Pickaway County. Most industry is located south of Circleville and near Ashville, with prospects for new economic development activity in northern Pickaway County near Rickenbacker International Airport and the Norfolk Southern Intermodal Facility. Health care, local schools, government and retail provide additional employment opportunities for local residents. Click here for additional demographic data about Pickaway County compiled by the State of Ohio.